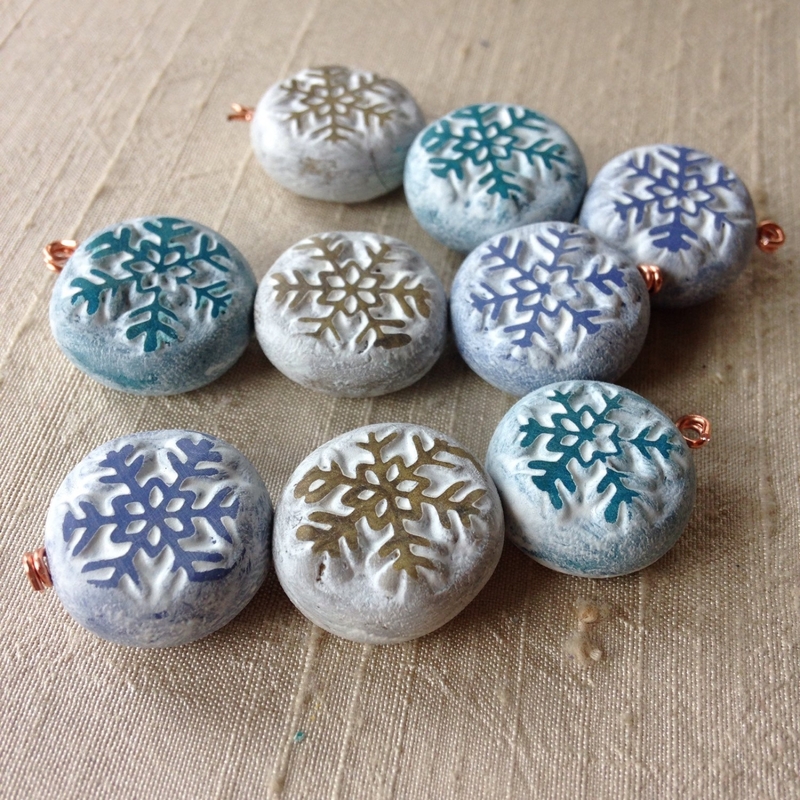 A quiet walk in a snowy woods was the inspiration for this collection of beads. The coin shape makes them perfect focal beads for bracelets or necklaces. 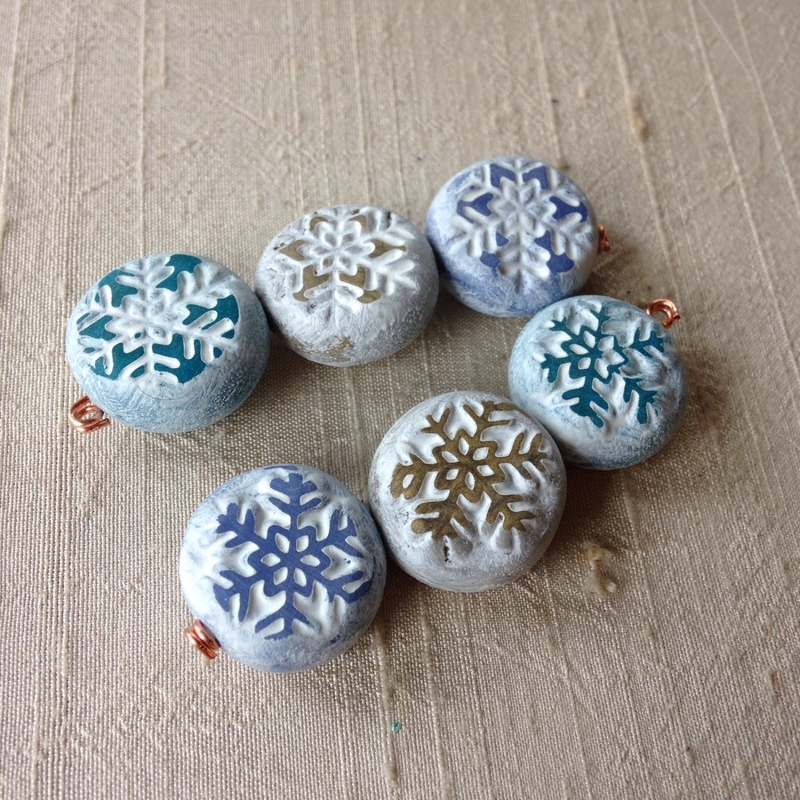 Each set contains a snowflake bead in teal, gold and blue. 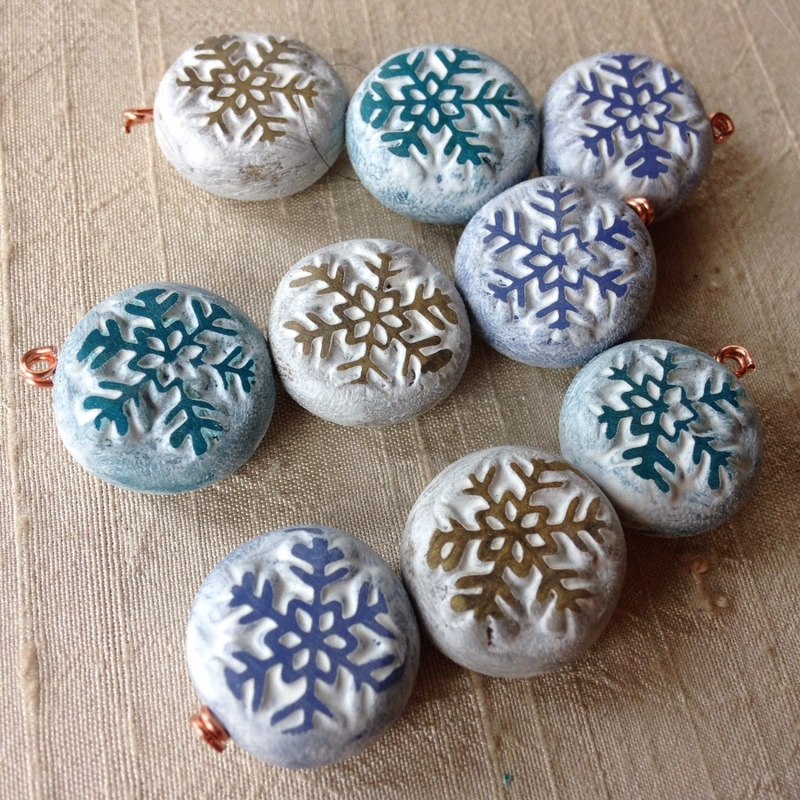 The polymer clay beads starts out from an original carving and are hand painted for a watercolor effect. The paint is sealed with a protective finish. The beads measure approximately 3/4" wide. Beads measure 5-6mm thick. A hole is drilled horizontally through the bead. This listing is for one set of 3 beads. Last photo shows the front and back of the beads.